Our achievements are over 20 years of activity. Many awards, spectacular projects and valuable recommendations from important clients as well as many press publications. It is impossible to list all the realizations we performed in our achievements. We present only the most interesting of recent years. Selected recommendations from customers for whom we had the pleasure to create fiery landscapes. In August 2006, we were qualified to participate in the prestigious XVI International pyrotechnical contest organized annually by the authorities of the city of Bilbao. Apart from us, companies from Spain, Italy, and Malta took part in the competition. To our great joy, the jury awarded us the first place and invited us to participate in the Champions’ Competition in 2008. 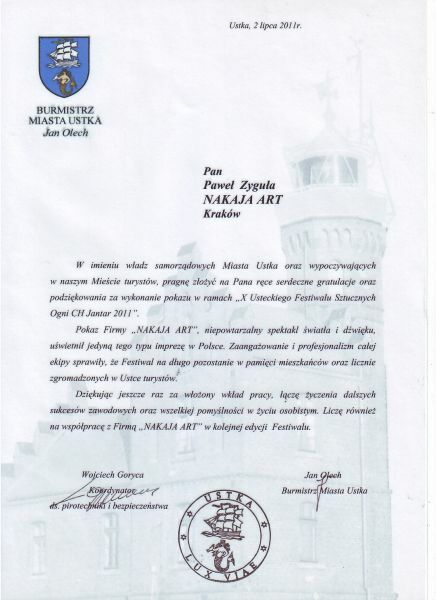 The next international Baltic Festival of Fireworks in Ustka, organized in 2005, we won thanks to the use of advanced technique and perfection in the performance of the show. This time we defeated teams from the Czech Republic, Slovakia, Russia and four competing companies from Poland. We have been appreciated not only for the performance of the most beautiful show but also for the high safety of its implementation and very good technical preparation. 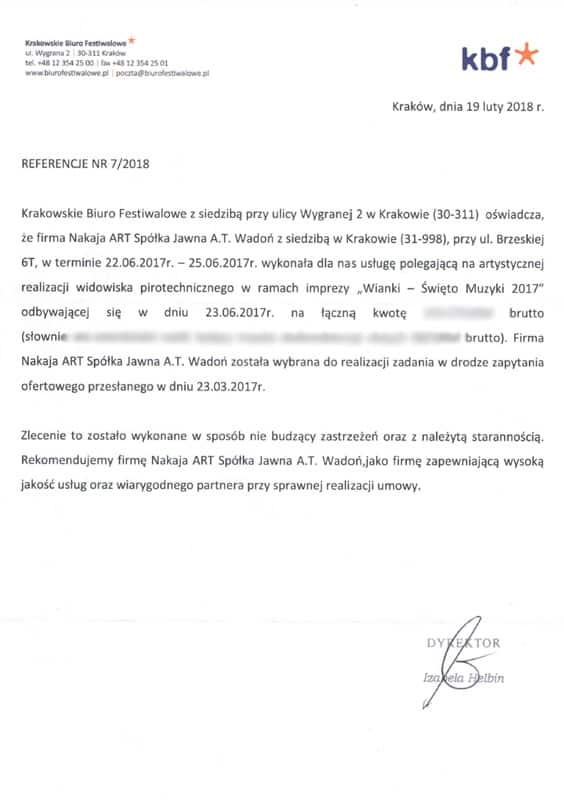 Jak “gwiezdne wojny“. Noc. Chłodno. 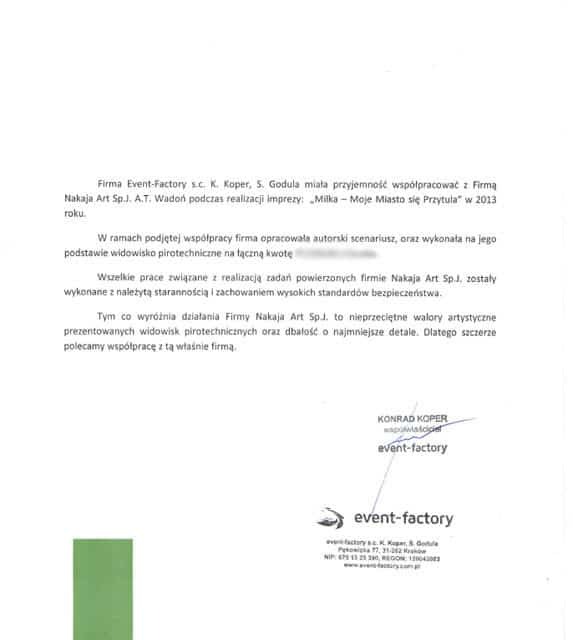 Z nieba ciurka kapuśniak. 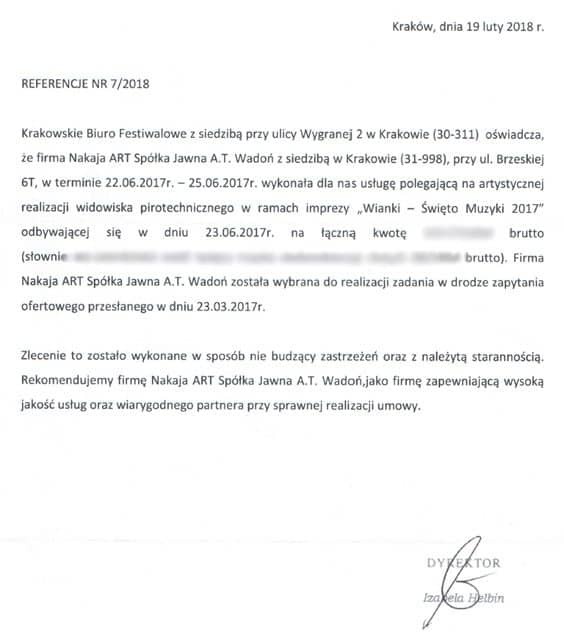 Wybrzeże Gdańskie zamknięte dla samochodów i zamienione w deptak. 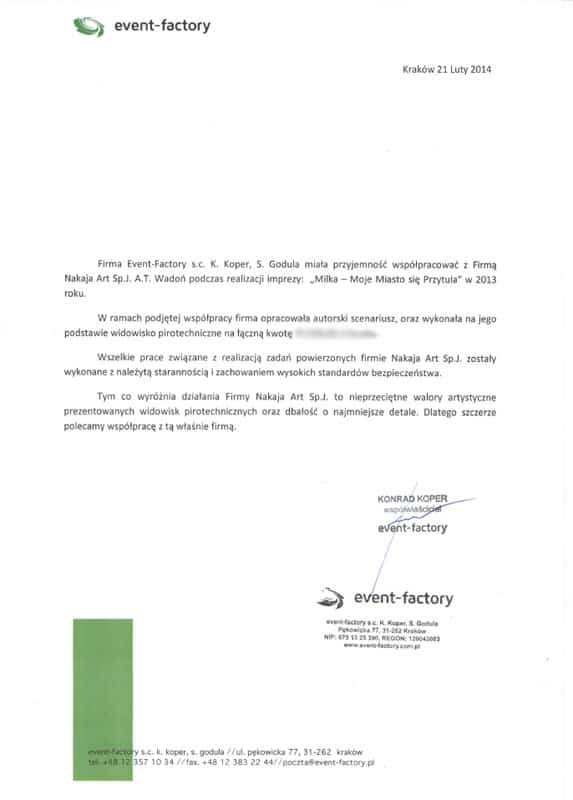 Park wypełniony po horyzont roztańczonymi warszawiakami.